This is our set of "Diamond" Altar Cards for the celebration of the Orthodox Western Rite Solemn Mass in the Antiochian Archdiocese.The prayers are from the Rite of Saint Gregory. 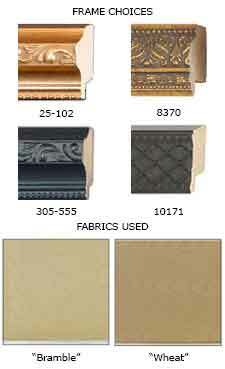 Contains one large center card, measuring 12 x 18 inches and two side cards each measuring 12 x 8 inches. Available as prints, laminated, or framed. 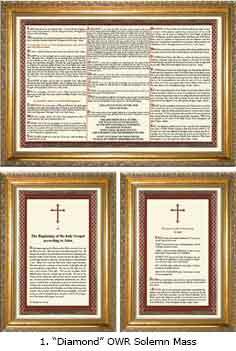 * Also see the "Preparation Of The Gifts For The Liturgy" Mass card in English Companion Prayers.